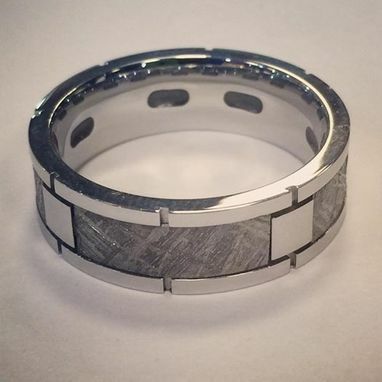 This titanium band features natural Gibeon Meteorite inlayed with designer titanium stations. 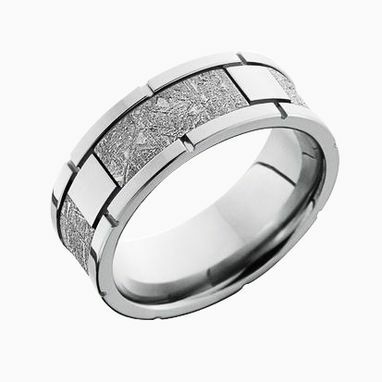 Have this unique band made just for you. Serge was a really nice and professional person to work with. The ring was out of this world. The value of the ring far exceeded the price. And he was kind enough to give us something extra. Will go to him again for custom made jewelry. I was very please with the final ring. Sergio was very professional and responsive throughout the entire design process and the ring was completed, and delivered without a hitch. I would recommend Sergio to anyone how is looking to individualize their rings. His designs are great!.